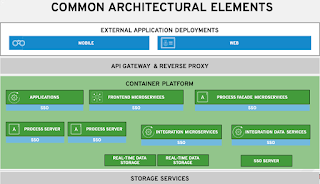 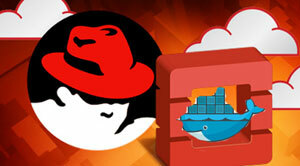 App Dev Cloud with JBoss Generic Loan project. 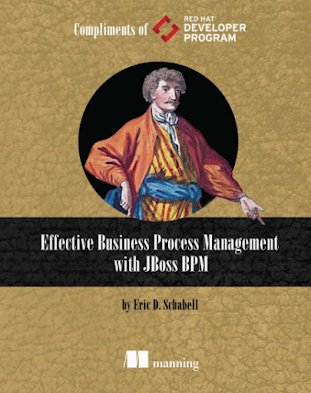 We then provided two getting started projects with JBoss BRMS and JBoss BPM Suite products running on the Red Hat CDK. 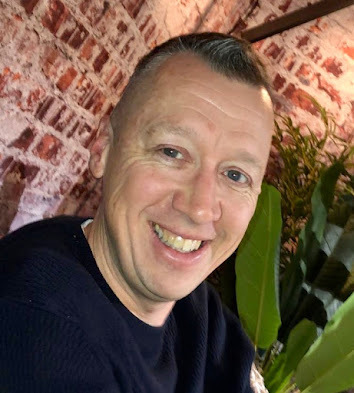 These were just initial setups of the products and the projects you can create there are left up to you to develop. 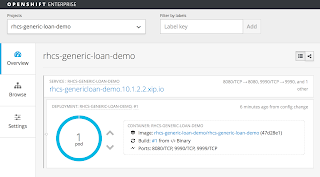 Watch JBoss Generic Loan project build. 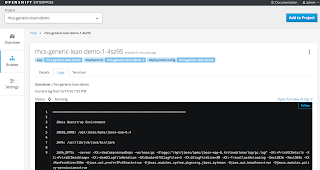 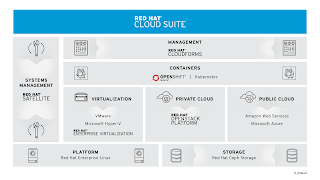 Today we bring you a financial loan example with the JBoss Generic Loan demo running on the OpenShift Enterprise layer of your stack, provided by our Red Hat CDK installation. 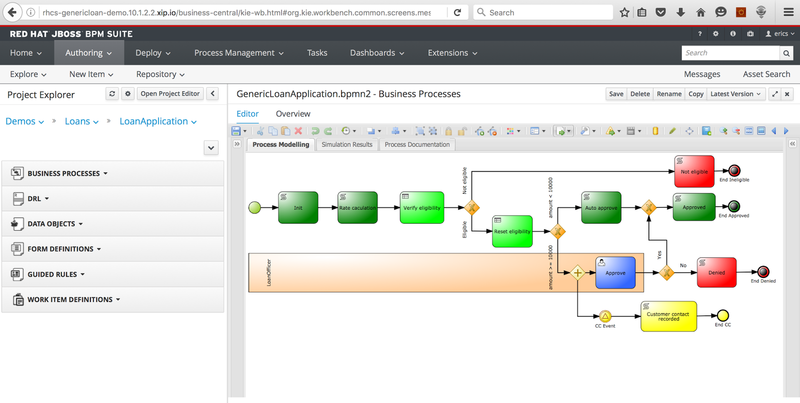 You can now fully demo and leverage a financial industry generic loan process example based on JBoss BPM Suite through the business central web console running containerized on an OSE pod. 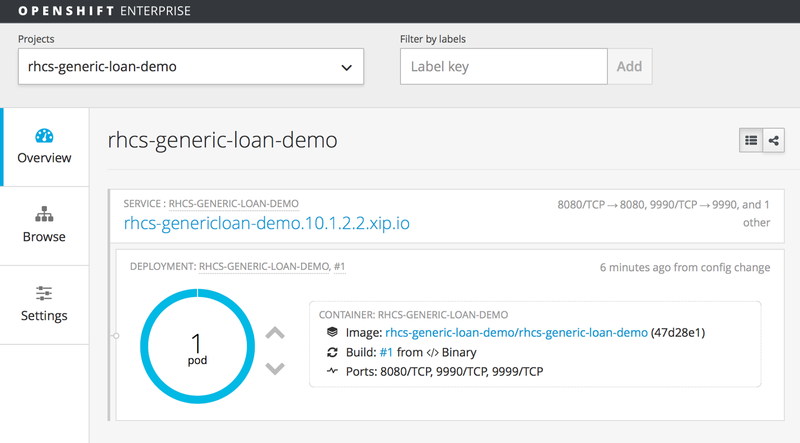 Processing generic loans in the Cloud. 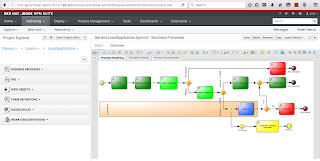 JBoss BPM Suite project in the Cloud. 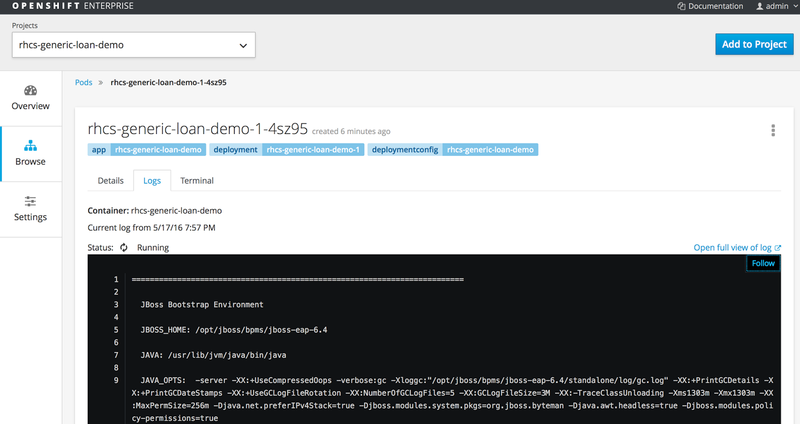 Now you are up and running with a fully installed, Cloud ready JBoss Generic Loan project!